While there are many strong advantages to PHP hosting, there are some disadvantages that you will need to be aware of before making your final decision. These disadvantages will basically stem from what you plan to do with your site now and in the future, and there are some important considerations that you will need to make. First, since PHP is based in Unix, this means that you will not be able to use Windows developed applications on your site. If you are interested in using Active Server Pages or .ASP, you will not be able to run them on a PHP host. In order for these pages to function correctly, you must be on a Windows server. In addition to not supporting .ASP, the .Net framework is not supported, nor is Visual Basic. If these development tools are important to you, or if you plan to develop applications on your site that run on a Windows platform, you will not be able to do this on a PHP based server. While many people prefer Unix, some people feel that it is very difficult to use. If you are well versed in Windows and comfortable with this platform, switching to a Unix platform may be very difficult. Again, since PHP was developed using Unix, most PHP hosting companies run their servers on a Unix platform. You will need to understand Unix to administer certain areas of your site and this can be time consuming if you are not familiar with this language. While you will be able to use .htaccess to protect areas of your site, there are several security problems inherent to using PHP. Most of these appear when your register_globals setting is turned on, which may be turned on by default by your hosting company. If you have sensitive data and are concerned about security holes in PHP, you will need to consult your webhosting company ahead of time to make sure that your site will be as secure as possible. There are security flaws in almost every platform, but the flaws in PHP are extremely well known. If you are not familiar with how to take steps to make sure that your PHP code is secure, you may be better served by selecting a Windows based hosting company. Since PHP hosting packages are less expensive, some hosting companies tend to â€œpackâ€ as many websites onto one server as they can. This is a very common problem with shared hosting, and can lead to a degradation of your site’s functions, speed and usefulness. If you are worried about other sites using your resources, make sure that your hosting company limits the amount of websites on each server. Basically, any concerns that come with PHP hosting center around the inability to use Windows based applications and databases. 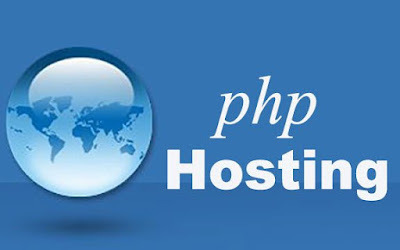 Other than these issues, the remaining problems are very basic in nature and you should be able to find a PHP hosting company that offers what you are looking for in security and functionality.